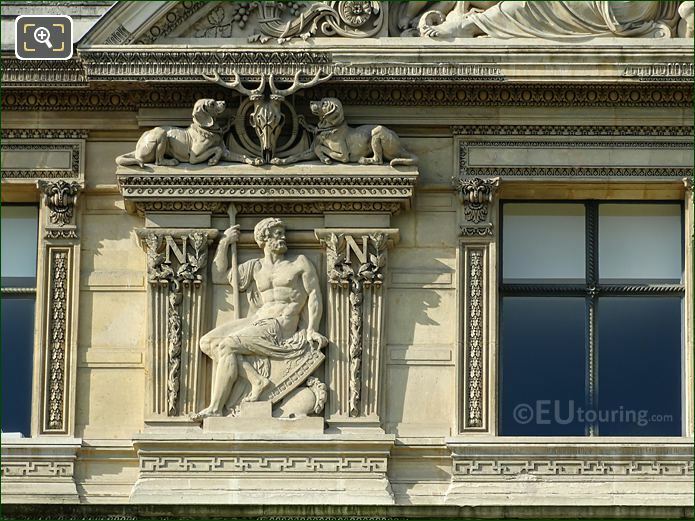 We were at the Musee du Louvre in the 1st Arrondissement of Paris, when we took these high definition photos showing a bas relief on the Aile de Flore, which was sculpted by Jules Franceschi. 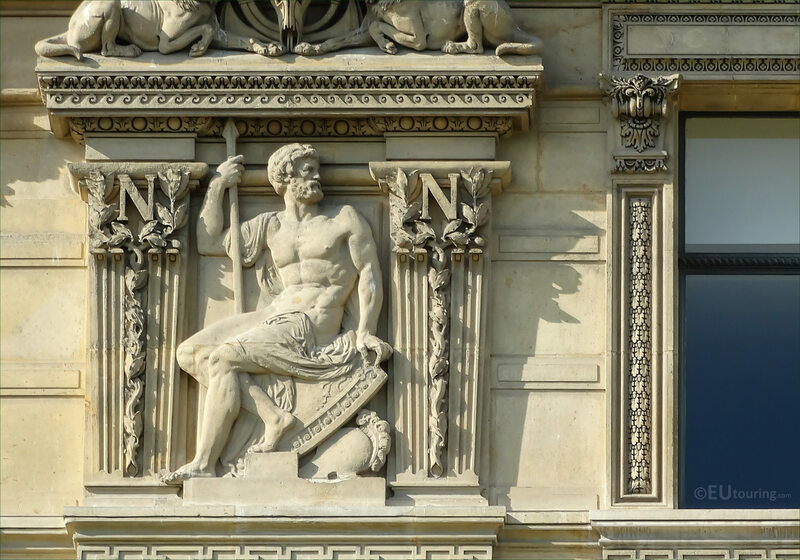 This first HD photo shows a bas relief located on the third level of the Aile de Flore facade of the former Palais du Louvre, which was put in place in the 1860s, and although there has been no name given to this sculpture, it can be seen from the courtyard called the Cour du Carrousel, positioned to the left hand side of the fourth window from the left of this wing. 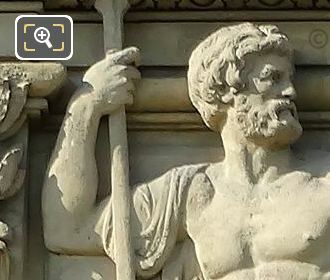 The bas relief, or low relief in English, was produced by Louis Julien Franceschi who was born in 1825, and studying to become a French sculptor under people such as Francois Rude, exhibiting at the Paris Salons, he became known as Jules Franceschi. Jules Franceschi received several commissions for tourist attractions including no less than four for The Louvre plus others for the Hotel de Ville in Paris, Palais Garnier, Jardin du Luxembourg, Eglise Saint-Sulpice, etc, gaining several medals throughout his career and being awarded the Legion of Honour in 1874.